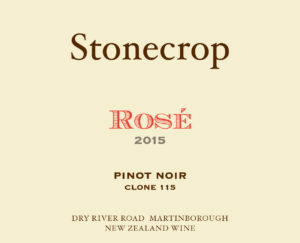 In 2015 the Martinborough region experienced warm, above average temperatures and the high spring temperatures along with average rainfall meant excellent budburst and strong early shoot growth. Following careful selection of the most promising clone 115 rows we were able to ensure an early harvest and the fruit reached optimum ripeness with great flavor concentration and arrived at the winery in excellent condition. At the winery, the Pinot grapes were de-stemmed and lightly crushed and given 2 hours of skin contact prior to pressing. This allowed the extraction of flavors and color from the skins. After pressing, the juice was cold settled, racked and fermented at cool temperatures to retain the fruit character. After fermentation the wine was stabilized and filtered prior to bottling on 27 May 2015. 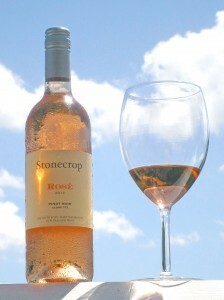 Description: Delicate aromas of rose petal and cherry complement citrus flavors and a crisp refreshing finish.